Not everyone is blessed to have a knack for understanding technical things. There are some who are smart and brilliant with words while others with numbers and figures. Other are artistic and can create amazing masterpieces. Then, there are those who have a fairly advanced understanding of the way modern contrivances work. You got to admit it that not everyone can figure out the inner workings of tech gadgets and at times may suffer from this ignorance. Aside from the major inconvenience it brings to not having a working device when you need one, it is mighty costly too as these things don’t come in cheap. Like any other piece of an appliance, tech gadgets even the smart ones have a lifespan and they are vulnerable to the usual wear and tear. Proper use and maintenance can lengthen its life but unexpected mishaps that cause it to malfunction may at times be avoidable just as long as you know what to watch out for. More often than not (unless caused by a physical blow or something like that), there are warning signs indicating your computer, tablet or smartphone is about to break down unless you intervene soon. Ransomware is the biggest threat to tech users these days. An inconspicuous and seemingly innocent random email you opened by accident may be the reason for your undoing (or in this case, of your gadget). A common sign is when your computer starts to lag out of the blue. Try the tip mentioned if a malware is indeed responsible for this lag but if not, there are other ways to find out what causes the problem before it costs you your computer or laptop. By simply noticing this change in the way your computer responds when you are using it, you can easily put a stop to a possible expensive repair or replacement looming on the horizon. A little low-volume clicking is actually expected from most hard drives. Inside the metal case, a hard drive looks a lot like a high-tech record player. That’s because it has some of the same design elements—a spinning “platter” disk where the information is stored, and a moving actuator arm that can read and write the data just like the needle plays music from an old record. A fully-functioning hard drive that’s powered on will make a soft “hum” or “whir” noise from the spinning disk, and more audible “tap” noises as the actuator arm moves rapidly back and forth. What you don’t want to hear is a loud “snap” or “click” noise. That usually indicates some kind of mechanical failure with either the disk or the arm, and it could mean that your hard drive is in trouble. If you can boot into your operating system, back up your data immediately, as it’s possible the drive could fail at any time. You’ll need to get a replacement right away. Most drives also use a form of self-monitoring named S.M.A.R.T. (Self-Monitoring, Analysis, and Reporting Technology), so it’s also worth checking in to see if your hard drive thinks it’s failing. Aside from a lagging laptop or computer, one of the things you can easily notice about your device that is immediately considered a red flag is when you start hearing strange noises coming from it. Sure, it makes sounds now and then but when the sounds you hear are more constant and louder than usual, don’t put off getting it checked while you still have time to salvage the situation. 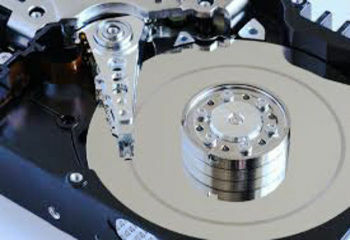 Clicking noises, for instance, indicates that certain moving parts inside your hard drive are blocked or probably dying. Now, once you put two and two together and come up with the conclusion that your hard drive needs help, you can check https://www.harddrivefailurerecovery.net/hard-drive-broken-how-to-recover/ for ideas on how to recover your precious data from your broken drive. And while generally, users are advised to seek professional help when faced with hard drive issues, this step-by-step tutorial: https://www.harddrivefailurerecovery.net/fixing-hard-drive-errors/ can help you get to the bottom of the problem and try to fix it if you can. Don’t get your hope too high up, though. 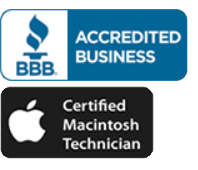 If the problem is beyond what you can manage, don’t hesitate to call a professional for expert help especially to assist you with the often painful process of data recovery.